Search All Belleview Real Estate! 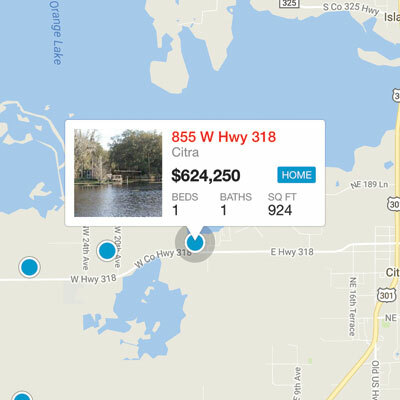 Get started now on the most easy-to-use and up-to-date real estate search for homes, land and the other available properties in the Belleview area. Our website helps you to quickly save your favorite searches and sign-up for daily email alerts of new listings, price changes, sold data and market reports. If you're curious about what’s happening in your neighborhood you can create a custom market report to see what properties are active, under contract and have recently sold around your home. Let us show you how we transform ordinary to extraordinary in everything that we do for our clients. Contact us today! Here are the newest listings in Belleview, or start an Advanced Search. B-2 ZONING PERFECT LOCATION 2 STORY BUILDING FOR MANY USES. REAL ESTATE OFFICE, STORE ECT. MANY POSSIBILITIES. MUST SEE. Search for homes in these popular Marion County communities.